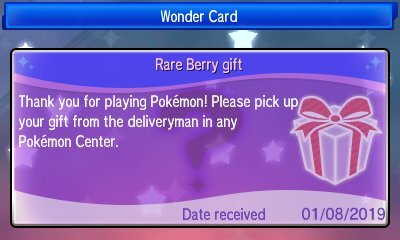 If you load up the game and go to Mystery Gift before January 10th 2018 then you can download a Rockruff. 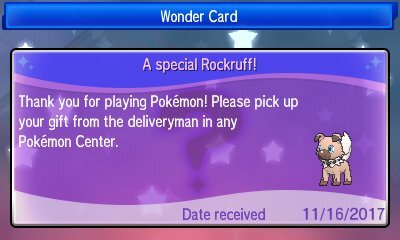 This Rockruff is unique in that it is, within Ultra Sun & Ultra Moon, the only way to get a Lycanroc in its new Dusk Form. 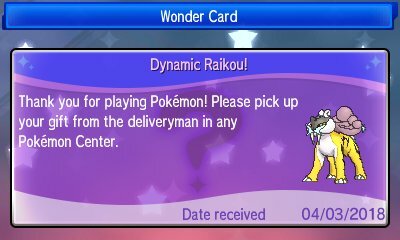 As the third month in the year of Legendary Pokémon, Entei was distributed to Ultra Sun while Raikou to Ultra Moon, allowing you to get the Legendary Pokémon not in your version. 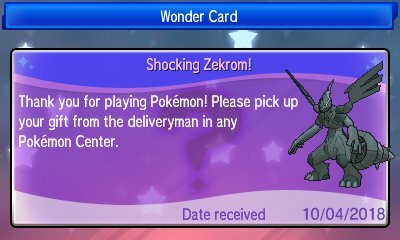 As the fifth month in the year of Legendary Pokémon, Zygarde was distributed in its shiny variant. 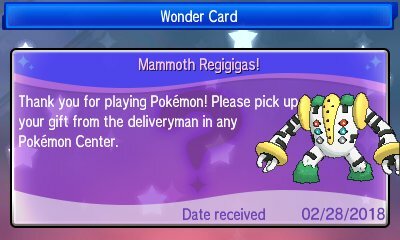 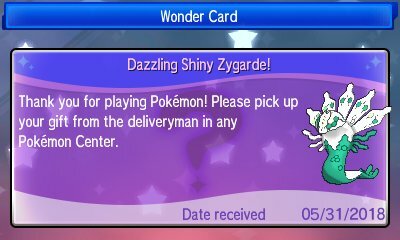 As the sixth month in the year of Legendary Pokémon, Thundurus was distributed to Ultra Sun while Tornadus to Ultra Moon, allowing you to get the Legendary Pokémon not in your version. 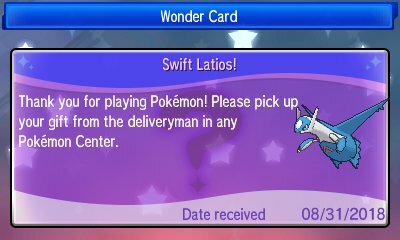 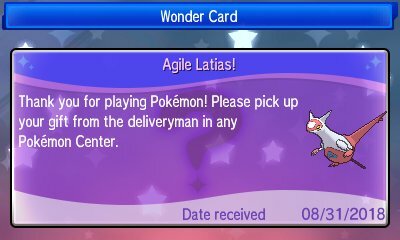 As the eighth month in the year of Legendary Pokémon, Latias was distributed to Ultra Sun while Latios to Ultra Moon, allowing you to get the Legendary Pokémon not in your version.